Meyrick Buchanan scored 154* against the Swans today. Here he ramps a boundary. 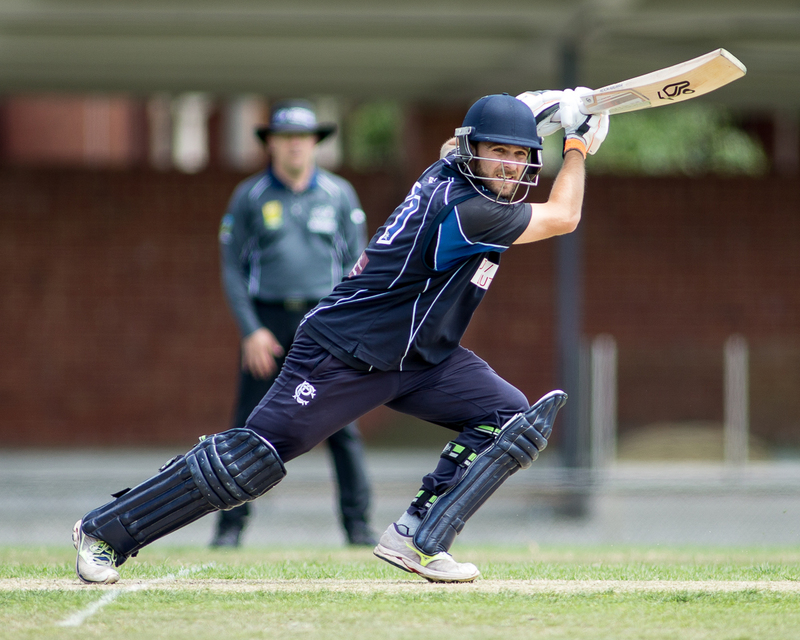 In an absolute thriller at Bill Lawry Oval, Camberwell Magpies has defeated Northcote by the narrowest possible margin in a tremendous see-sawing match which saw 603 runs scored for the day. Camberwell Magpies' imposing total of 8/302 featured Simon Hill's 15th Premier century. Hill's 107 (108 balls, 10 fours, 1 six and 1 seven! ), with good support from Tom Russ (79 off 62 balls, 8 fours, 3 sixes). In reply Northcote coach Steve Taylor played a brilliant counter-attacking innings, scoring 110 off just 100 balls with 10 fours and 6 sixes. It was Taylor's fourth Premier century. The Dragons chased bravely with Josh Sundberg (60) and Elliot Brandon-Jones (55) also scoring at better than a run-a-ball, but the target proved just beyond the Dragons, finishing on 9/301. Requiring a six to win off the last ball, skipper Blayde Baker hit Will Walker for four in a thrilling finish. 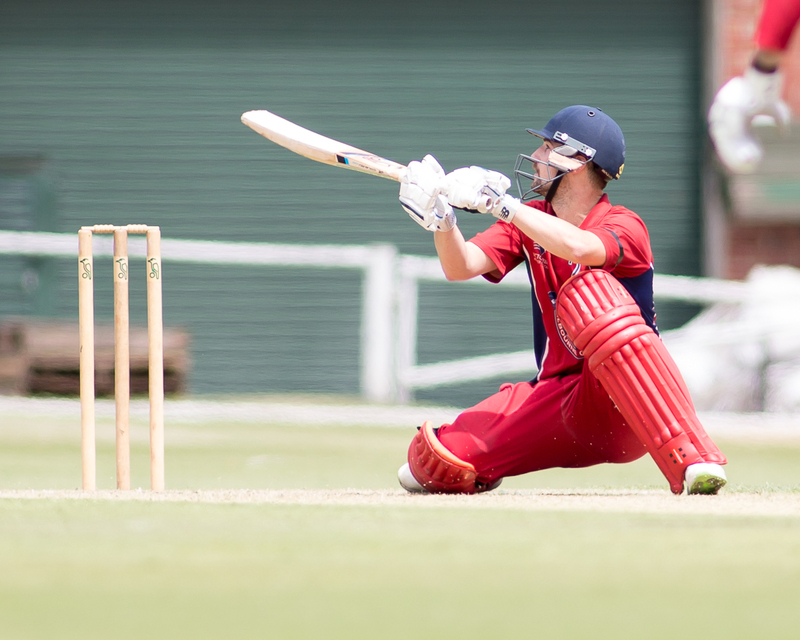 St Kilda and Melbourne Uni maintained their unbeaten status after today's one-day round of Premier Cricket. Both the Saints and the Students held their nerve in tight finishes after successfully defending moderate totals. St Kilda (5/226 - Ben Davies 83, Damon Egan 58) held Frankston Peninsula to 8/221 (Tom Ewing 76) at the Butler Oval and Melbourne Uni (6/230 - Isaiah Borgas 80) similarly held Dandenong to 8/227 (Brett Forsyth 82) at Shepley Oval. Melbourne posted the highest score of the day with 2/304 against Casey-South Melbourne at the Albert Ground. Opener Meyrick Buchanan batted through the innings, finishing unbeaten on 154, his second Premier century. Buchanan faced 155 balls and hit 15 fours and 3 sixes. Blake Thomson (80) and Sam Harper (47) and skipper Matthew Brown (30no) played the supporting roles. The Swans fell well short, being dismissed for 189, with Jared Maxwell (62) top-scoring in just his third game. 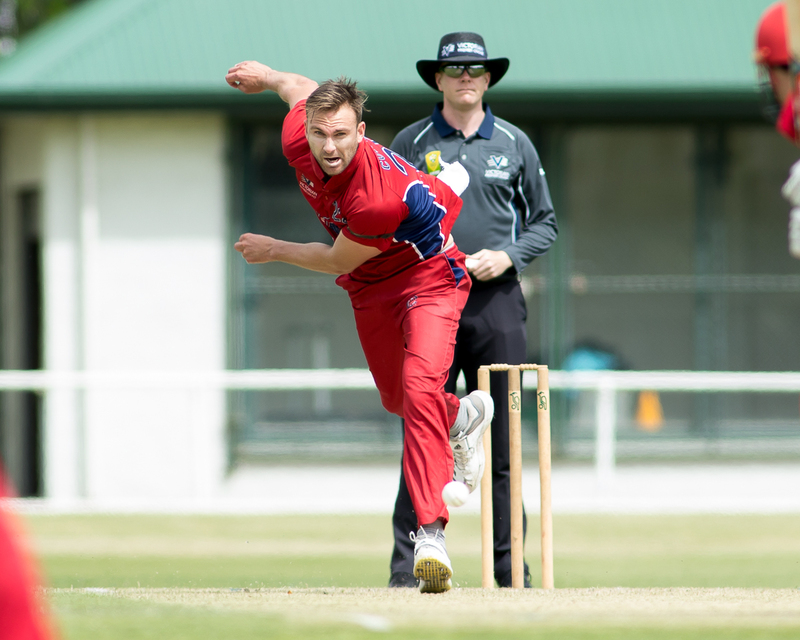 Keiran Elliott (3/36) and Brad Melville (3/39) were the Demons' best bowlers. Prahran skipper Jake Hancock (130no) also batted through his side's total of 7/258 against Kingston Hawthorn. Hancock faced 163 balls and hit 12 fours and a six in his seventh Premier century. The Hawks were never really in the hunt, being dismissed for 172. A brilliant 10-over spell by Monash Tigers seamer Dom Matarazzo restricted Ringwood's innings to 9/148. It could have been worse for the Rams, but Brendan Walsh (50no) and Zak Evans (29) added some respectability with a ninth wicket stand of 80. Matarazzo finished with the outstanding figures of 10-5-7-4. 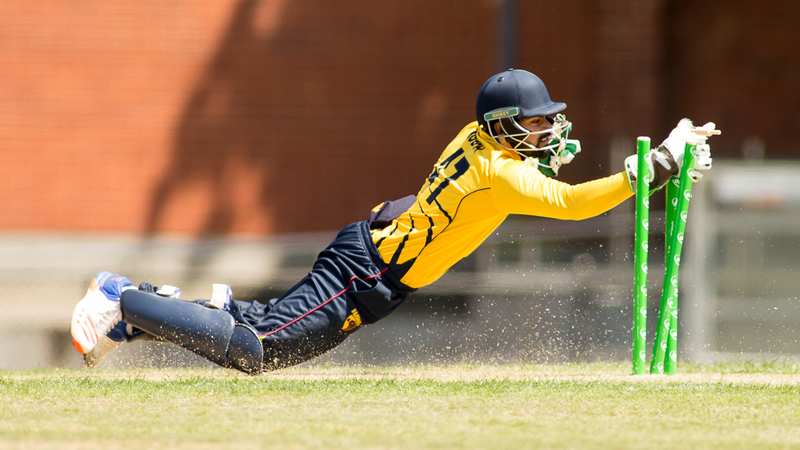 Monash Tigers were untroubled in overhauling the Rams' total in the 34th over to secure a bonus point. Greenvale Kangaroos set themselves up for their first win of the season by bowling Geelong out for 142. Spinners Humza Ali (10-4-11-2) and Sunam Gautam (10-5-12-2) bowled tightly, but the Kangaroos' batting let them down again. After reaching 2/82, Gautam was dismissed and the Roos lost their last 8/40. Brenton McDonald (4/22) and Dom McGlinchey (3/24) did the damage for the Cats. Last season's Ryder Medallist, Trent Lawford was probably the difference in Fitzroy Doncaster's win over Footscray. After smashing 64 off just 32 balls (5 fours, 5 sixes) to get the Lions to 8/256, Lawford then took the important wickets of Dean Russ (46) and Matt Underwood (47) as the Doggies' run-chase fell behind. Some late resistance from Tallan Wright (64*) saw the Bulldogs to 202 before being dismissed.